contest! win a droid multimedia docking station! welcome to our latest twitter-based contest where your entry to win fabulous prizes is only a simple retweet away. (that totally sounded pitch-worthy.) with our last contest coming off as a complete success, we thought we’d continue on with this process only this time by really upping the ante! so what can you win this time around? 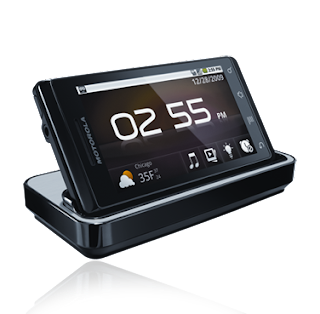 a brand new motorola droid multimedia docking station! remember that this fun accessory has a special dock app which features the gallery, music app, alarms and weather. it should also be pointed out at that the 2.1 nexus one clock app makes it even more amazing while including a few extra features. such a fun toy and has completely replaced my alarm clock. and how do you enter to win a brand new docking station? simple. next friday, march 5th, we will direct message the winner via twitter! thanks again to all our fabulous readers who continue to make things like this possible! and don’t forget to check out the DroidForums.net for any support needs you may have. they are easily the biggest droid community on the planet. motorola droid beats iphone and nexus one in screen test? quick fix: issues mounting your motorola droid in windows xp?